I think self-love is one of the best gifts you can give to yourself. It is so important and I think you should be one of the first people you fall in love with. The first person you should love is your pet of course, even though it's not a person. Looking passed your flaws is not always easy but it is something you can work towards. Self-love goes together with self-awareness. 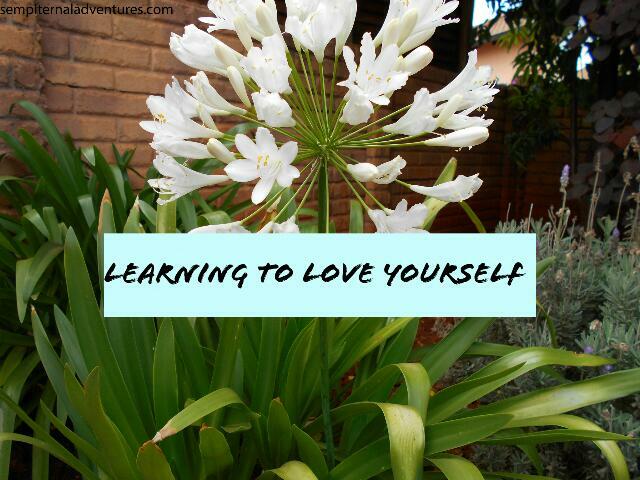 Once you know yourself (all your strengths and weaknesses) it will be easier to love yourself. I think self-love also brings a sense of freedom in your life. When you love and accept yourself it is not easy for others to bring you down. You are at peace with yourself and don't need anyone's stamp of approval. Remember that if there is any part of yourself you would like to improve make sure you are doing it for yourself. Don't live your life to impress others. I'm not trying to tell anyone how to live their lives but I've seen too many people waste their time trying to impress others. Unfortunately I have also been a victim of this. Most importantly don't ever let your grades define you. I know this is a hard one because everyone makes it seem like you'll never make it if you don't get good grades but there are so many different paths to take. Just google 'successful people who didn't finish school'. I'm not saying drop out of school, I'm just saying grades don't determine how your future will turn out. Loving yourself entirely comes with its challenges. Sometimes it's not easy to look passed your flaws when you stare at your reflection in the mirror. Self-love is a journey but I believe that with growth and self-knowledge it will be easier to fall in love with yourself a little more everyday. So love every bit of yourself and live your life to the fullest. Haters gonna hate potatoes gonna potate. Just keep loving you.